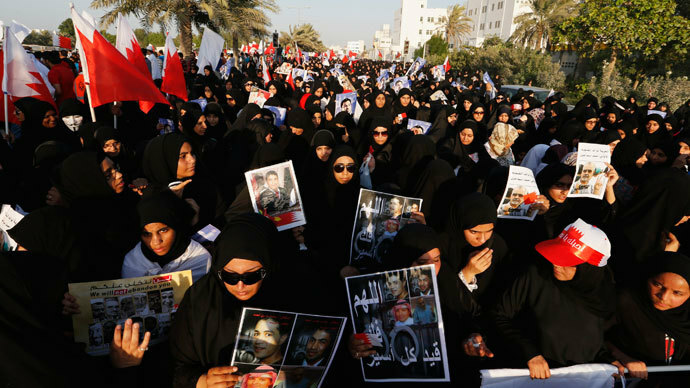 Demonstrators protesting the death of an activist were teargassed near Bahrain’s capital on Wednesday, as human rights groups slam the country’s crowd-dispersal policies following release of a leaked government tender for riot control weaponry supplies. 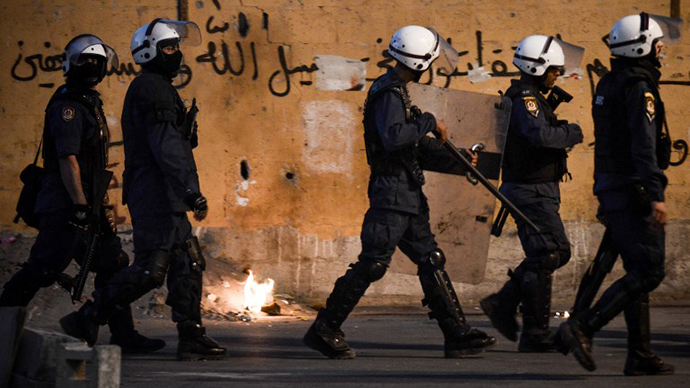 Bahrain’s Ministry of the Interior issued a tender in June, seeking supplies of 1.6 million tear gas canisters and 145,000 stun grenades, according to a document obtained by UK based rights group Bahrain Watch. The number of tear gas shells appears to be greater than the country’s population of 1.2 million. The watchdog has alleged South Korean companies could be most likely bidders, taking into account they have a record of supplying tear gas to Bahrain. South Korea’s DaeKwang Chemical acknowledged it exported around 1 million units of tear gas to Bahrain between 2011 and 2012 according to Kim Jong-bae, a senior executive at the group, cited by the Financial Times. Bahrain Watch has launched an online campaign, calling on internet users to bombard the companies exporting tear gas to Bahrain and the authorities approving such sales with condemnatory emails. “Tear gas is supposed to be 'non-lethal', but Bahrain's police use large amounts of tear gas in residential areas, even when there are no protests, and sometimes shoot tear gas directly into houses. The police also fire the canisters directly at people's heads, which has caused serious injuries and deaths,” the text of the message reads. It had already been sent about 30,000 times by the time this article was published. Signatories to the message have been welcome to share their own stories of tear gas exposure. “I live in Sehla – Bahrain. Tear gas became a daily routine that we got used to, I would never dare open the window driving into town, knowing that I could suffocate and drive into a lamp post on the way. My wife is pregnant and we bought gas masks and put them in our cars,” one of such stories by a user named Anon reads at the campaign’s web-page. Other rights groups joined the campaign. 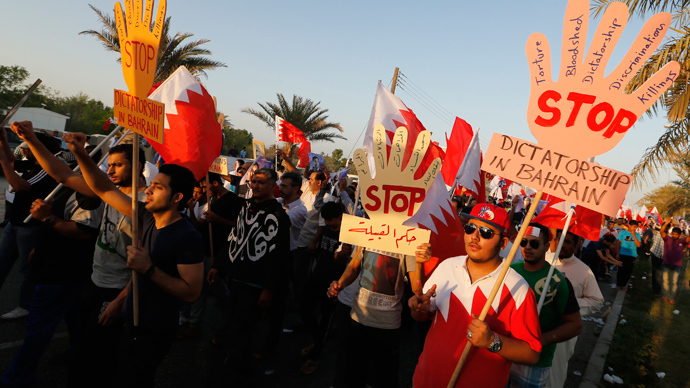 Human Rights Watch reacted by saying that Bahraini security forces had “repeatedly used tear gas disproportionately and sometimes unlawfully in suppressing antigovernment demonstrations,” according to The New York Times. Another watchdog, Human Rights First has called on Washington to intervene and slam the sales. 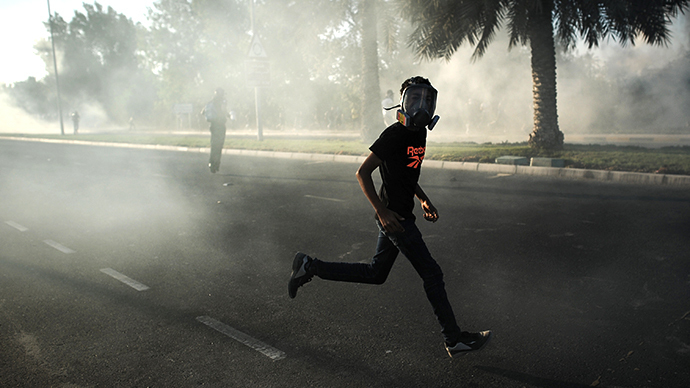 The US itself stopped exports of tear gas to Bahrain in 2012 because of human rights concerns. “Tear gas is being used in an indiscriminate, inappropriate and lethal way. The US should publicly oppose all sales of tear gas to Bahrain while it is being abused by the police,” said Brian Dooley of Human Rights First. 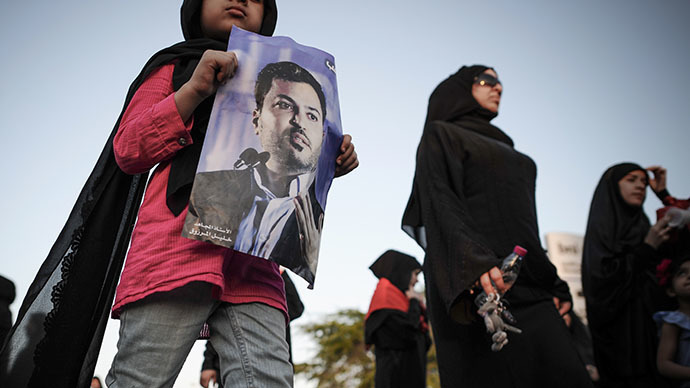 Bahrain has seen regular opposition rallies since the beginning of the Arab Spring in February 2011. It has on many occasions been criticized for excessive use of force in handling riots. 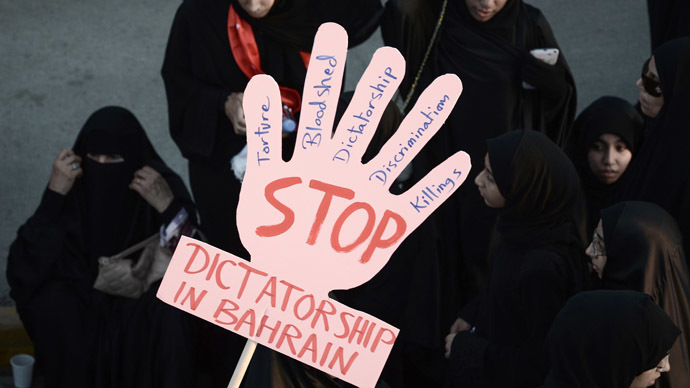 According to estimates by Physicians for Human Rights 39 deaths in Bahrain over two-and-a-half years were caused by tear gas. “They have been firing an estimated a hundred shots a night on villages, on civilians, on protesters – men, women, children, the disabled. We recorded over 39 deaths from excessive use of teargas and part of these deaths are direct body shots on the head and neck,” Ahmed Ali of the UK based rights group Bahrain Watch told RT. Tear gas was most recently used to disperse crowds which clashed with police in Bahrain on Wednesday in a village near capital Manama, at the funeral of 17-year-old Ali Khalil Sabbagh. Protesters claim he was shot by police, which argues the teenager was a terrorist and died when a bomb that he was making exploded.